I've always wanted to be a writer, but it was only last year that the kids encouraged me to give it a go. absolutely bowled over with the response so far! The average rating is 4.9 stars on amazon with 14 reviews. Aecia has enjoyed her freedom as a human for only a few short months when her uncle Kasen goes missing! Fearing the worst, she embarks on yet another dangerous quest with her family and friends, and they are hurtled into a vicious conflict which will become as historic as The Great War, in which the bloodthirsty vamps were the absolute victors. 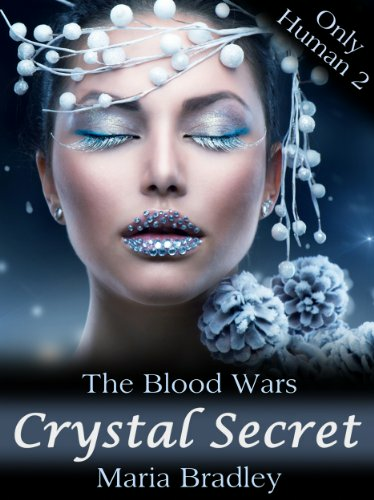 These are the first battles of The Blood Wars, and the secrets they uncover will terrify Aecia's soul, and plunge her into an age of confusion, life-threatening danger, and quivering doubts about the one truth she holds as sacred inside her heart; the fact that she is Only Human! 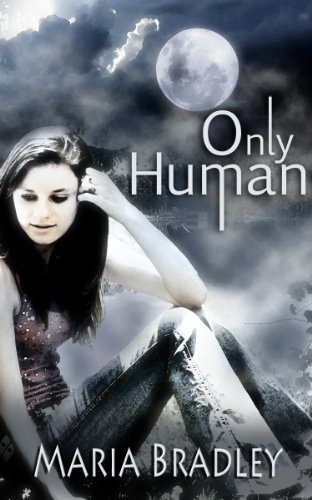 Only Human won the Indie Book of the Day in Octyober 2013! There are 20+ reviews combined reviews with an average of 4.6 stars. The Blood Wars has been out about a month and has average 4.8 stars so far, but to be honest, there arn't many reviews yet (about 8 I think). I was lost in this world of vampires and was sorry to have not read the first in the series. I was reminded of Anne Rice in the feeling that the author knew something we do not, and was gripped from the start as Aecia - a great character - battles with bravery and intelligence to do what she believes to be right. She is lonely and endures feelings of isolation, owing to her non-human abilities: she, realising she is different, does not fit in, and tries to conceal it from others in her group, to be like them, but she is not like them. I have decided to go back now and read book one, having been gripped by this second in the series. I am a big fan of vampire stories, but I believe this book is very well written, by an original talent, and would be enjoyed by anyone who enjoys other-worldly tales of adventure with memorable characters and intriguing twists and turns. The Blood Wars is by far one of the most unique books that I have came across so far through Kindle. I am very impressed with the direction that the author chose to take her story in and I am even more so impressed by the eloquent, vivid writing style that does a great job of expressing it in a captivating manner from start to finish. There's a strong vampire influence in the story, but this definitely isn't your typical, generic vampire book whatsoever - the author isn't afraid to be different and I think that's what made me enjoy this book so much; I would even go as far to say that The Blood Wars has the potential to be the next "Twilight" hit but in a much different way. Every character seems dynamic and special in their own right, each adding their own unique feel and substance to the book through their own personal experiences- but I especially admire the protagonist, Aecia, and I hope that the author includes her or a similar character in future releases (which I will be on the look out for). I must admit, I didn't really know what to expect at first but I am definitely glad that I had the chance to read through this book, it's beyond a worthwhile read. I highly recommend it for anyone looking for a refreshingly new addition to the genre. I know this isn't a comedy but Aecia, the main character, is hilarious. 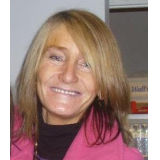 She's so quick-witted and sharp, and says what she thinks. Great book!